The confirmation of a brand new spin-off film focusing on Jedi Master Obi-Wan Kenobi was accompanied by news of yet more Star Wars movies in development, including one focusing on an unlikely character. While the original report mentioned Lucasfilm was developing movies based on Boba Fett and Yoda, Variety’s own write-up includes mention of a spin-off focusing on Jabba the Hutt. While it might seem out of left field, Jabba the Hutt’s life would be ripe for a story exploring the seedy underbelly of the Star Wars universe. As a member of the Hutt intergalactic crime family, Jabba created a vast empire in the Outer Rim. Toeing the line between both Imperial and Rebel forces, he established a smuggling business that made frequent use of Han Solo’s services. He’s also surrounded by an intriguing cast of characters that were featured in the popular anthology book Tales from Jabba’s Palace. Those stories featured exploits of Salacious Crumb, the Rancor Keeper, Oola the Dancer, and even fan-favorite Mara Jade. Jabba was featured in Star Wars: The Clone Wars animated series, but he has yet to be featured in any TV show or film to the extent as he was in Return of the Jedi. A Star Wars Story movie focusing on Jabba the Hutt would allow fans a glimpse into the darkest aspects of the galaxy far, far away without the influence of Sith teachings. Sometimes there is light and dark, and sometimes a gangster just has to get paid. 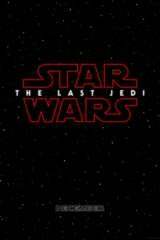 The next movie in the saga, Star Wars: The Last Jedi, hits theaters December 15th.